While this flashy and decorated samurai-style fan appears innocent to the untrained eye, it is only one flick of the wrist away from becoming deadly. 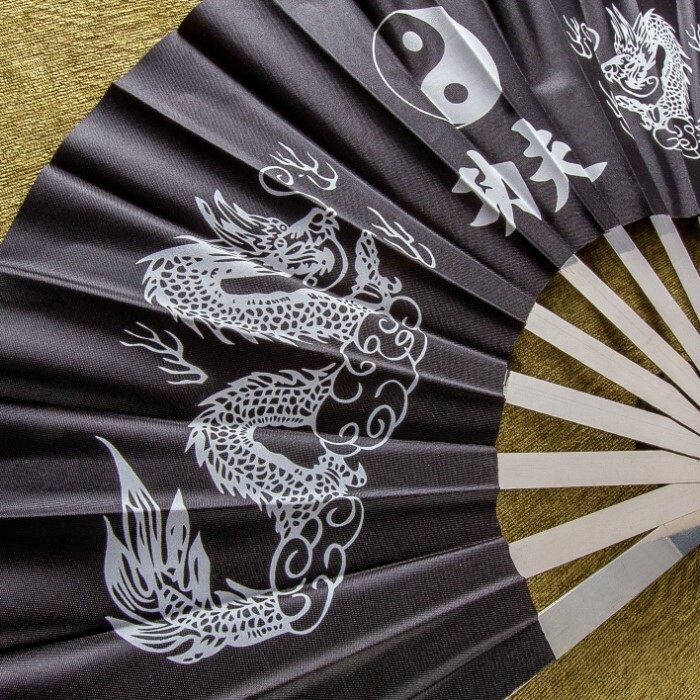 No fine bamboo or pakkawood supports here, instead hardened strips of stainless steel hold the fan's body. 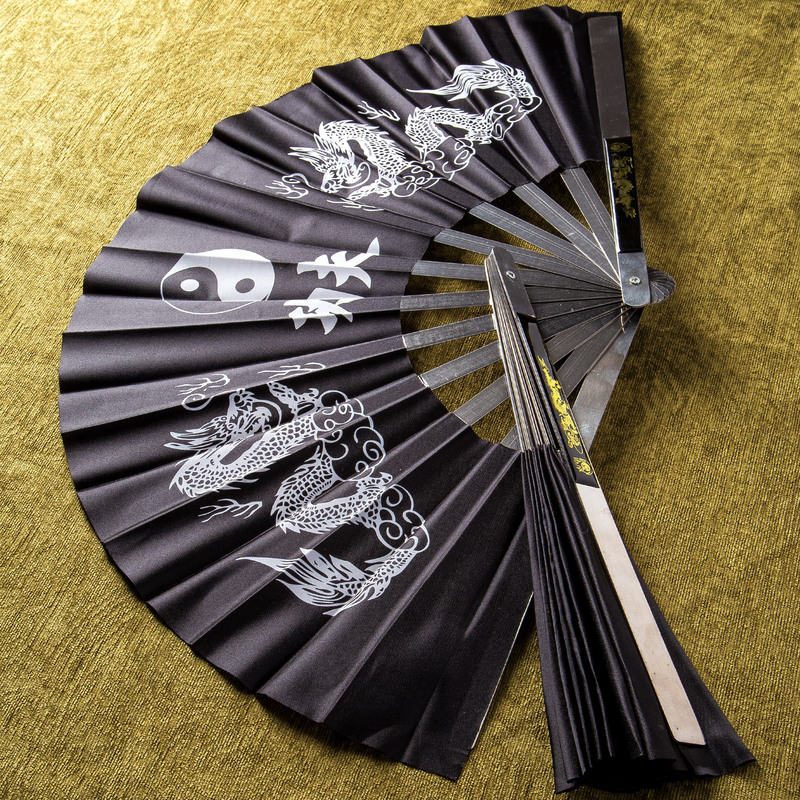 Not designed for repetitive cutting use, the fan lies in wait for the perfect moment to deliver an unexpected strike. 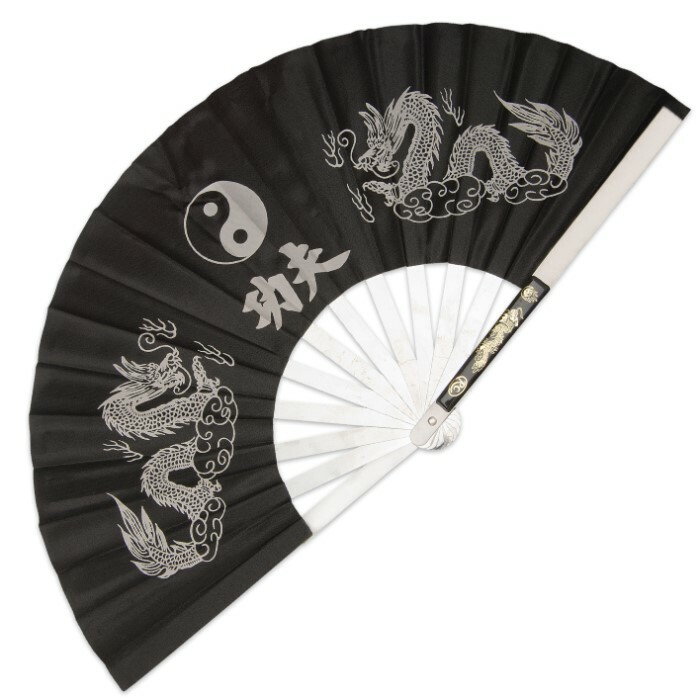 Our metal kung fu fan features traditional Chinese dragon artwork with Yin Yang center piece with golden dragon handle accent. The opened dimensions are 14 3/4 in. 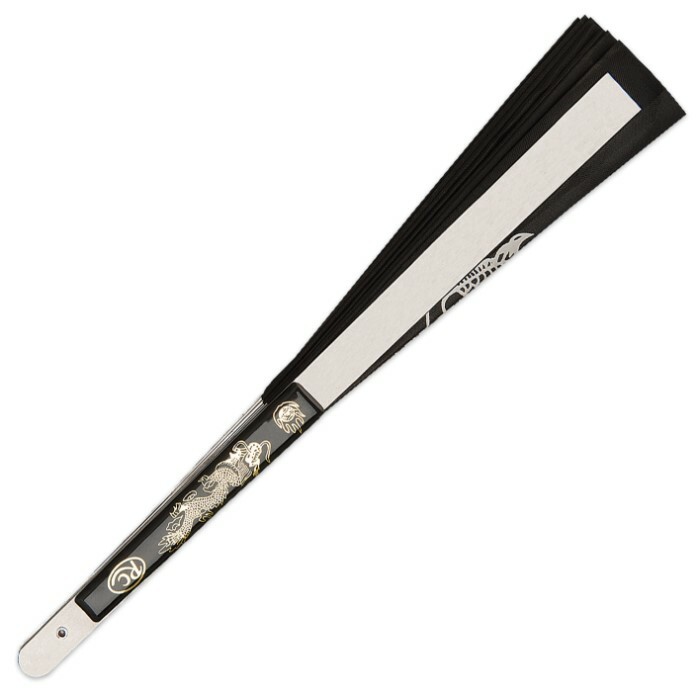 tall by 27 1/4 in. wide, and the fan weighs a hefty 8 oz.